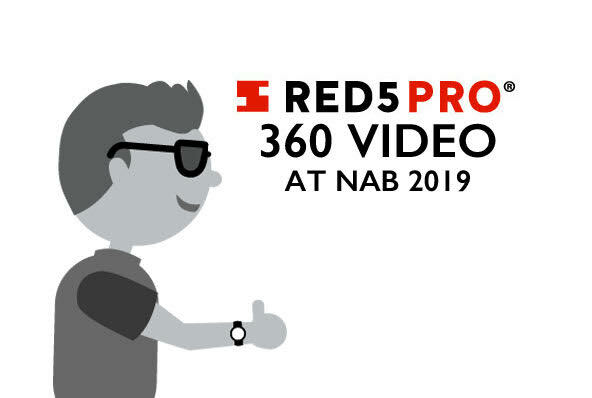 We are very excited that we will be demoing our new 360-degree video for iOS and internet browsers (using WebRTC) at this year's NAB conference. With this video player, you can scroll around the view to look around where you want and even zoom in and out! Red5 Pro Team Members, from left to right: Paul Gregoire, Director of Media Server Development, Dima Nazaenko, Director of Technical Sales and Chris Allen, CEO and Co-Founder. Just think of all the possibilities this will open. You can live stream a game or concert and look around at the crowd behind you. Since you can control where you look you can focus in on what you want, not what the editor has decided to show you. Of course, without our low latency, none of this would be achievable. If there was a longer delay between moving the view and the video updating what it would show you, the UX would suffer and feel unnatural. Fortunately, with our sub 500ms, this isn't a problem. All this means you can have a virtual experience that will start to feel more like real life. Talk about realtime! As thrilled as we are about this new feature milestone, we are also very eager to see where it will go and how it will move the live streaming industry forward. What new uses will be developed? How can this be leveraged to connect people from across the world? Come take a look for yourself! 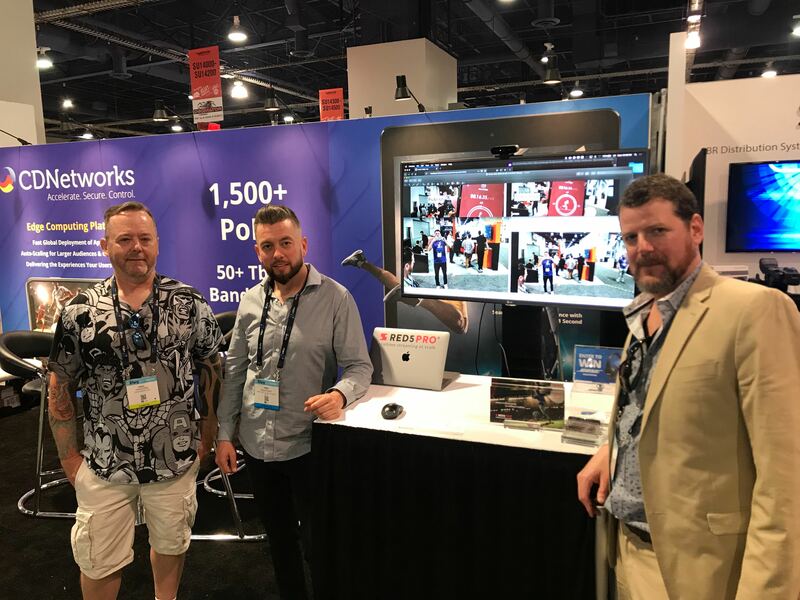 We will be at NAB 2019 sharing a booth with CD Networks. Our other partners will be there as well: Singular.Live and Limelight Networks. Our 360 video demos will be held every two hours starting at 11:00 AM from Monday to Wednesday at booth SU13612 by South Square. Let us know if you are going to be there and schedule a time to talk to us about Red5 Pro, the fastest streaming platform on the market!